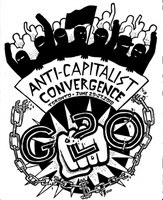 June 30th 2014 -- Four years after the cops kicked down his front and then bedroom doors, arresting all house occupants and throwing them into jail and the years long G20 conspiracy case fiasco, Alex Hundert maintains a dedicated resistance to colonial capitalism. We speak to Alex about his current work with Grassy Narrows with the new Youth Group, the upcoming River Run highlighting continued mercury contamination of the watershed, and the ongoing logging blockade in the northern Anishnaabe community. He also brings up the Anishnaabe community of Trout Lake and their ongoing battle against a hydro dam development. 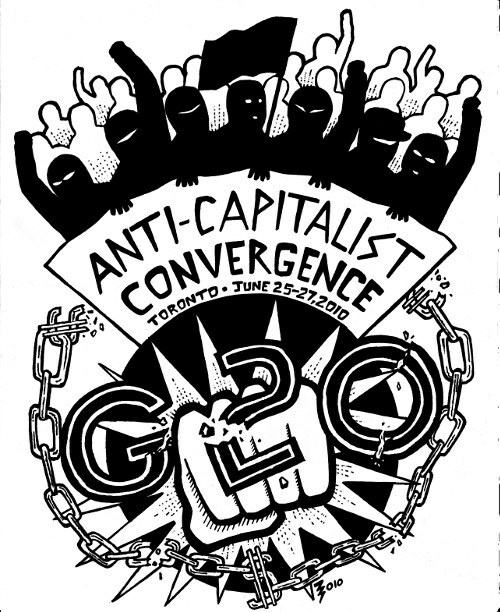 We also speak to Alex about the impacts the state crackdown on G20 protest movements had in southern Ontario and some of the lasting effects of those impacts. Alex finishes the discussion by speaking about the upcoming People's Social Forum happening in August 2014 in Ottawa, as well as the 2014 River Run happening from July 29-31st in Toronto, and he touches on the importance of the upcoming 40th anniversary of the park reclamations/(re)occupations by Anishnaabe. AW@L Radio has content playing from 4-6pm on 100.3 FM in Waterloo -- soundfm.ca on the web. Sometimes its fresh content (like this interview) that we then put up as a podcast.